Not a day goes by where I don't think about how to practice better and how to teach people to practice more effectively. It's one of the most complex aspects of playing music. There are books upon books written about practicing and I can't imagine an end to the discussion. I've personally read several books and articles on the subject, heard numerous lectures by former teachers, advised countless students and parents how to practice - and yet - I never feel like I have a complete command of the subject myself. My insecurity regarding the subject of practicing perseveres despite constant efforts to conquer it. There are several books about practicing on my digital bookshelf that I'm working my way through. I recently finished one of them, a book called "First, Learn to Practice" by Tom Heany, which had many great ideas. Also on my reading list are "Practicing for Young Musicians", "The Practice of Practice", "The Serious Jazz Practice Book", "The Musician's Way: A Guide to Practice, Performance, and Wellness", "Improve Your Piano Playing", and "The Perfect Wrong Note: Learning to Trust Your Musical Self". You can see that I'm just as serious about reading about practicing as I am about teaching it! I've read in several places that musicians need to accumulate 10,000 hours of practice to reach professional status. I'm somewhat skeptical of this idea, yet a good friend of mine who's up on this sort of stuff tells me it's true. This is an incredible number of hours of practice! I once read a book about practicing that said it would be impossible to be a professional musician without practicing more than three hours a day most days of the week over a period of many years - and I believe he was referring to college-level music students. (This is another idea that I'm skeptical of, because I think that very efficient practice involving rotation of material can whittle this time down.) Too much practice, especially if it's not done right, can actually be harmful. (I can attest to that fact both personally and on behalf of a few students who overdid it.) Different people learn at different rates and come from varying backgrounds, with a wide spectrum of innate talent. I'm certainly not the authority on the subject - though I've spent countless hours practicing over my several-decades-long career. (Do you suppose I've actually hit the 10,000 hour mark? Gotta check my practice-odometer, though it's probably like the odometer in the second car I owned: it stopped at 250,000 miles out of sheer exhaustion!) Perhaps I'm being too critical of the status quo of practicing. But, to be honest, I've heard a lot of hokum over the years and I'd like to put in my two cents on the subject. The ideas below are my own, influenced heavily by others. Please don't take them as the stone cold truth. That would be so dull! Think for yourself, do your own research, and come up with your own ideas. In fact, I think that good practicing is about creating your own ways to practice! Got a problem? Create a solution! Can't get those eighth notes to sound even? Create your own exercise to solve the problem! Try to practice five or six days a week and take one or two days off. I believe our muscles and our brains need some time away from practicing to feel refreshed. New insights can appear spontaneously after you take your mind off of things. Focus when you practice, then free your mind when you're away from practicing. I believe this allows our unconscious to work and produce new insights that our conscious minds might miss: The "aha moment" in the shower. Even a few days of practice each week is better than trying to cram it all into one or two days. Don't worry about how long you practice if you don't have much to practice. Don't make your child practice 10 minutes or longer when they hardly have anything to practice. Make the practice times last only long enough for them to play each piece a few times, maybe only once at the very beginning. I don't believe in the idea that children must practice a certain amount of minutes each day. It can vary depending on the amount of material the child has been assigned. Don't bore your child by insisting on a set amount of time if that time is not warranted by the material that needs to be practiced. Set practice times that match their age and ability to concentrate. Play each piece two or more times if they are short pieces. A long piece may need only be played once. Just as important as playing the whole piece from beginning to end is practicing bits and pieces. Practice the hard parts of a piece slowly several times, then see if you can play these parts faster. If you can't play them faster without making mistakes, practice slowly again or give up for the day and start over the next day. Analyze how you use your hands, fingers, forearms, shoulders, legs, torso, head, neck - every part of your body. Practicing badly will produce bad results! You can't get better if you're practicing incorrectly no matter how many times you repeat it. Getting it right the first time is the fastest way to improve. That's why playing slowly is the quickest way to get faster! Figure out ways to make practicing fun. Play things backwards, softer, louder, with various articulations and artificial rhythms, etc. Unfortunately though, no matter how hard you try, practicing can probably never always be fun, because work sometimes demands keen efforts at struggling with tedious tasks. But if music is not fun in general, then - unles you're a masochist (do you suppose Leopold von Sacher-Masoch (whose name is responsible for the term "masochism") would make a good role model?) - it is probably not ultimately rewarding. Isn't that what music and the arts in general should be - rewarding? They should feed our inner needs and let us express what we may not be able to express any other way. Too much work and not enough play make . . . you know the saying! Try to make even the hard work of practicing pleasurable. For many - perhaps all - good musicians, there is a certain joy found in simple repetition. It is almost a Zen-like experience. (Though I must confess I have no idea what Zen meditation is really like.) Just make sure that you don't zone-out in the Zen-zone and cause repetitive-stress injuries! Too much repetition is harmful. If practicing becomes a daily chore it will defeat the purpose of music. If it's not rewarding, make it rewarding - or at least don't make it so "un-fun" that it's really not fun! (That sounds like something Yogi Berra would say if he was talking about practice.) ;-) The book "First, Learn to Practice" by Tom Heany has some great ideas about this problem. "No pain - no gain" - NO WAY! Musicians use small muscles, micro-movements, as well as big muscles. A little pain is probably telling you to slow down, take a break, quit for the day, or even to stop till the pain is dealt with. Treat pain as a warning sign. Fix it before you cause long-term damage. Playing music should be as effortless as possible. 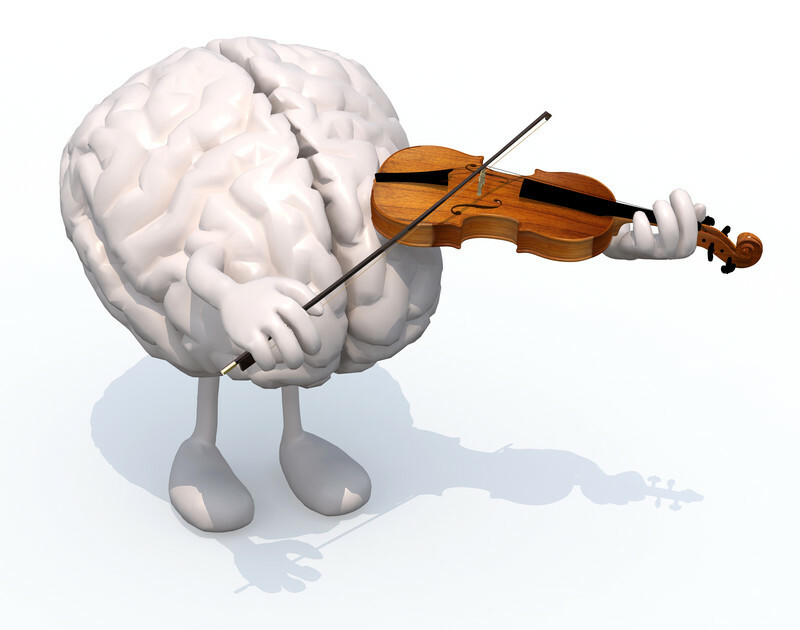 If you are in pain and you need to cut back on playing to heal, practice in your head. As far as I know, neurons do not get repetitive stress injuries! ;-) Music is as much mental as physical. Read your music like a book. Close your eyes, relax, and imagine playing your music correctly. Repeat difficult passages purely mentally, slowly, accurately, then faster, imagining your fingers playing the correct notes. Whether you are doing physical practice (which also involves mental processes) or just mental practice, make sure you get it right the first time. According to the book "The Practice of Practice: Get Better Faster", by Jonathan Harnum, the brain uses a fatty substance called myelin to coat axons that are used regularly. Myelin enables the neurons to work faster and more efficiently. But there's a catch: this process does not distinguish between mistakes and correct notes. So if you practice mistakes, they will become easier to play. The brain can be really stupid in this way. If you practice mistakes, you are ingraining those mistakes into your noggin. 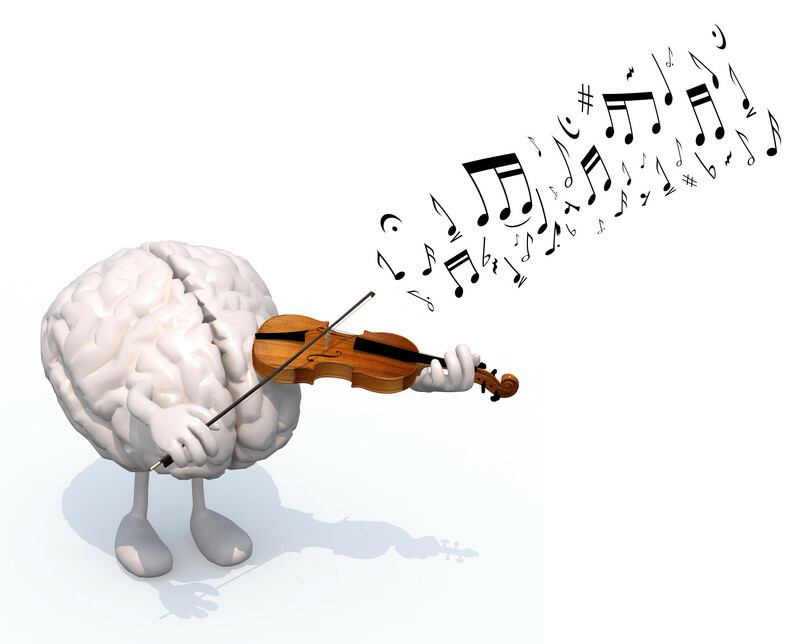 This is why you need to practice correctly, especially at first when the brain is laying down the pathways that will drive future music performances. Practicing mistakes will make you play mistakes. Practice correctly and you will play correctly. The age-old axiom, "practice makes perfect", is only true if you practice perfectly. Apparently only perfect practice makes perfect. Warm up before you practice, or warm up gradually as you start to practice. There are lots of good warm-up exercises you can do - but as a physical therapist once told me, rather than warming up, first start practicing slowly and gently, then gradually build up to full-fledged practice. To warm up you might place your hands in lukewarm water for several minutes, or gently rub something into your muscles that is made to loosen them up. Tom Heany, in his book "First, Learn to Practice", asks why shooting a basketball into a hoop can be so much more fun than practicing music. He challenges us to make music practicing just as much fun as practicing basketball. And why shouldn't it? With basketball, the ball either goes in or it misses; with music there can be such incredible variety. Look at music as a game in a way - maybe like a video game where you are slaying legions of dragons - thirty-second-note dragons that can boil you with their breath! (Ah, how many of those dragons have slain me over the decades!) How many ways can you win battle after battle against those multi-beamed monsters? (Make sure the war is not a stressful one though!) Each practice session can be seen as a series of battles that leads to eventual triumph in the greater war - an entire piece of music mastered! Make yourself a five-star general in the practice of music - better yet, the Commander in Chief! So long for now! Happy practicing!